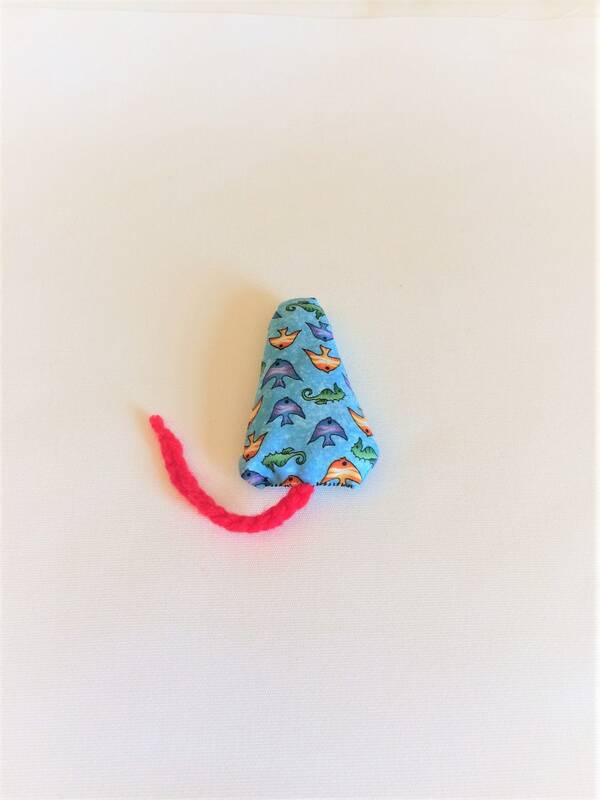 Introducing our famous Catnip Mouse with its signature red tail. 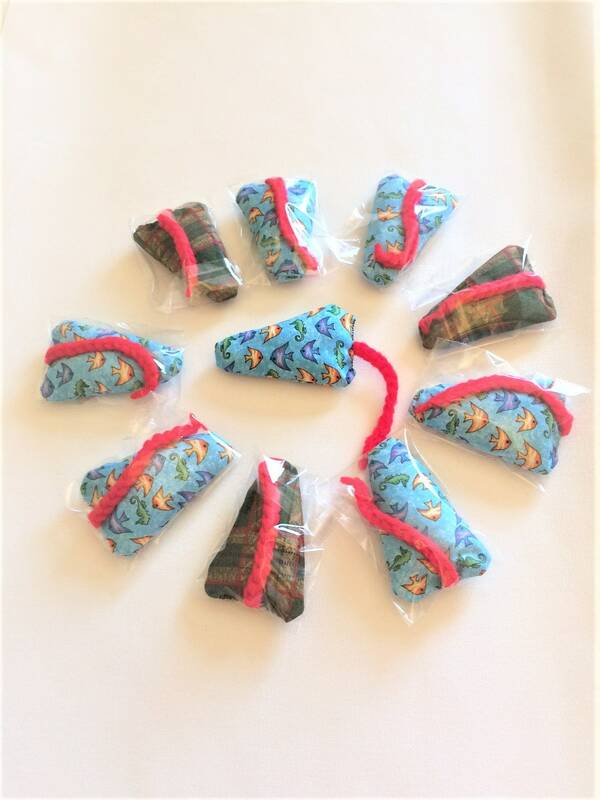 These are a huge hit with our craft show customers and we are delighted to now have them available for you. We all know Cat toys are a must, especially catnip mice. 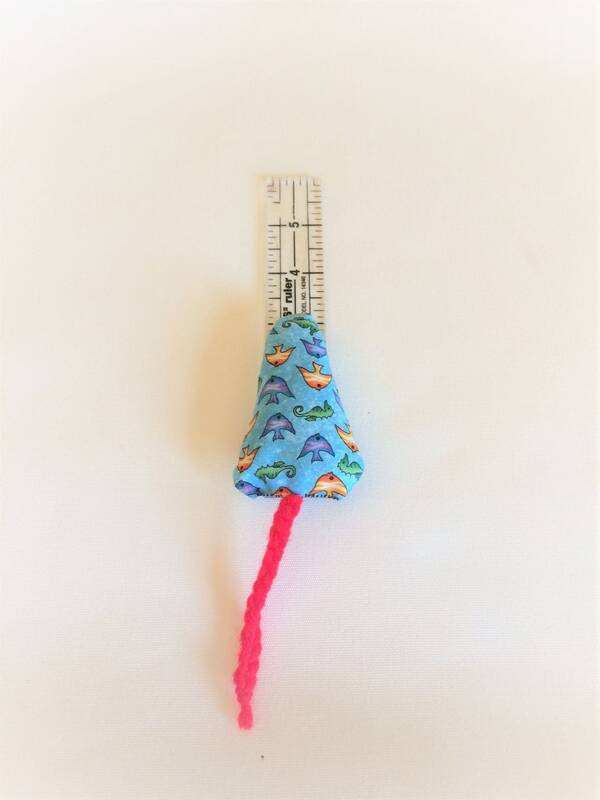 Your kitty will soon fall in love with this handmade cat toy. Designed to entice your cat to play. 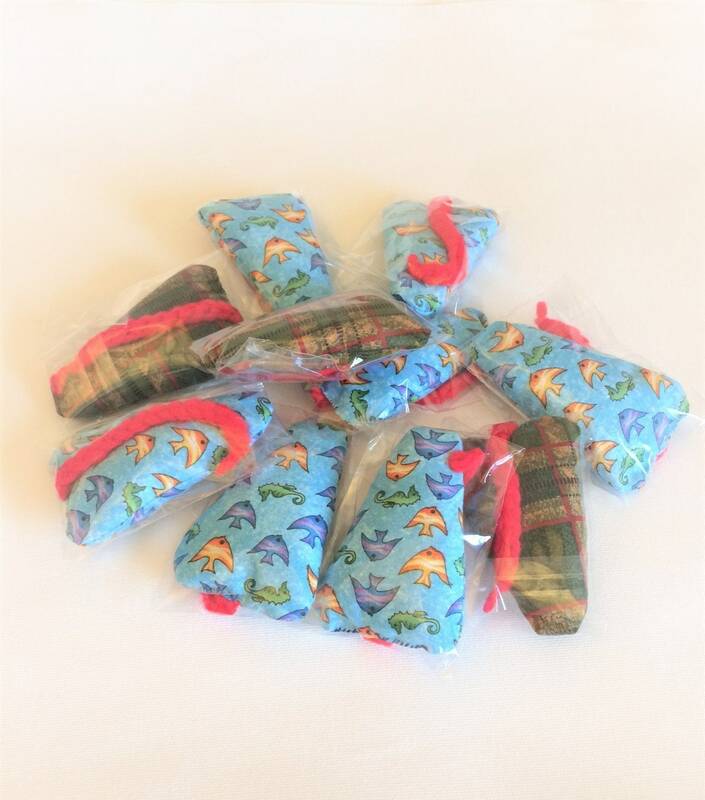 Each mouse is filled with 100% catnip, never any fillers. 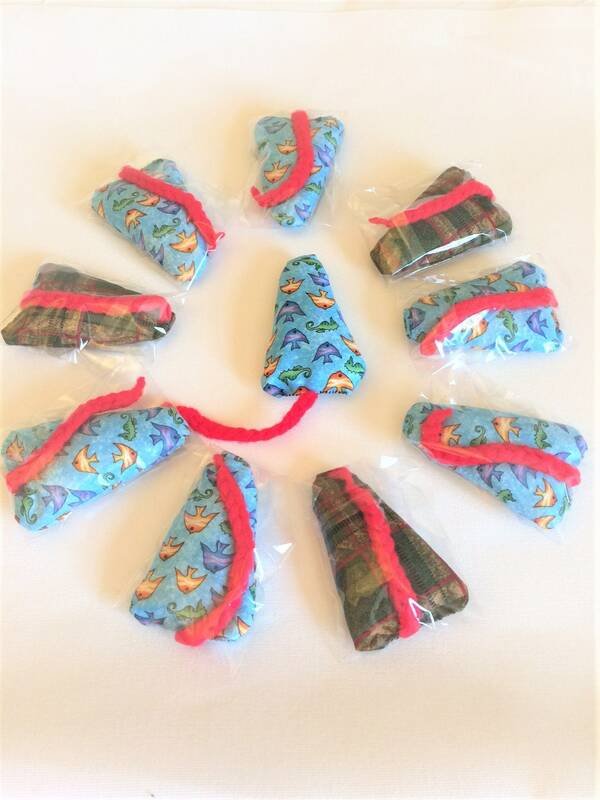 The body is a cotton fabric and our signature red tails are acrylic yarn. Guaranteed to be played with by even the most finicky feline. 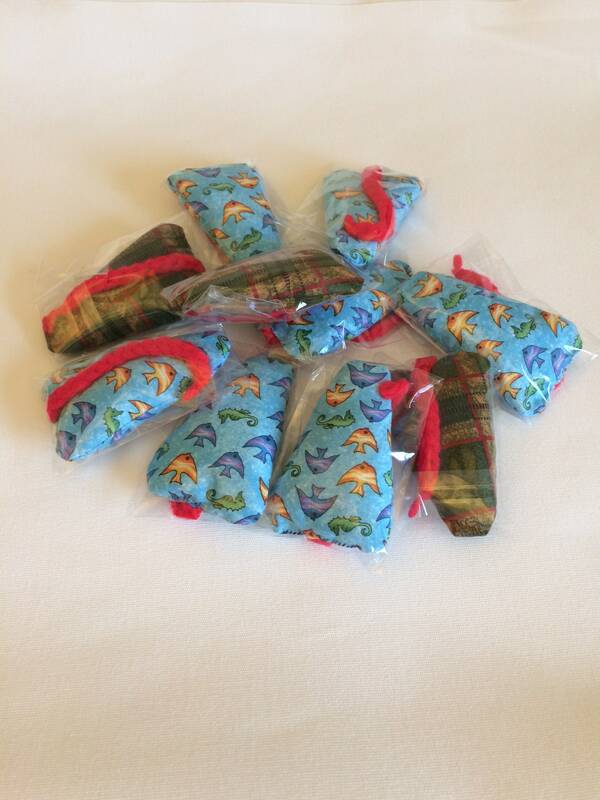 Each catnip toy measures 3 inches long by 2 inches wide at the base. Comes individually wrapped to insure freshness. 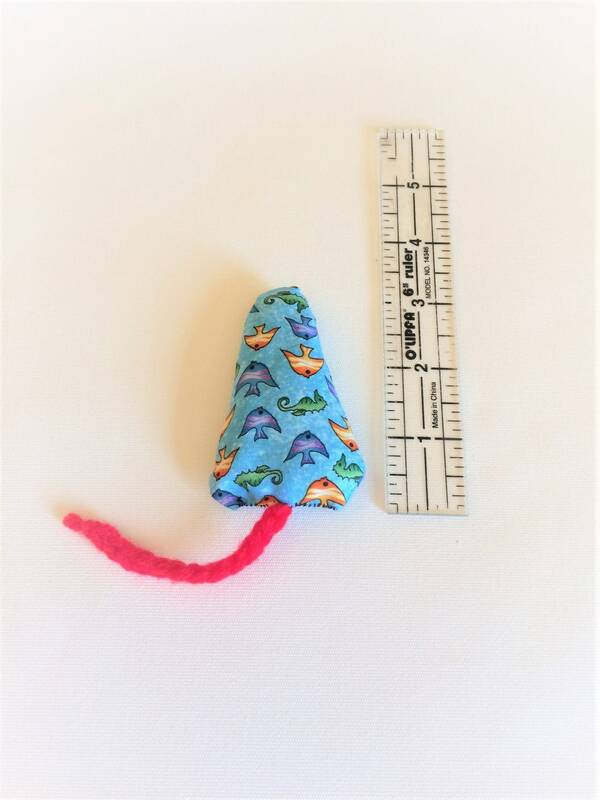 Your cat will enjoy hours of playtime with their new handmade catnip mouse. Once you have placed your order, it will ship the next business day. Tracking information will also be sent, allowing you to track your order right to your doorstep. Give your cat a gift they will love. . . an new catnip mouse. . .or two! Simply place your order now and we will have it shipped the next business day. So CUTE! 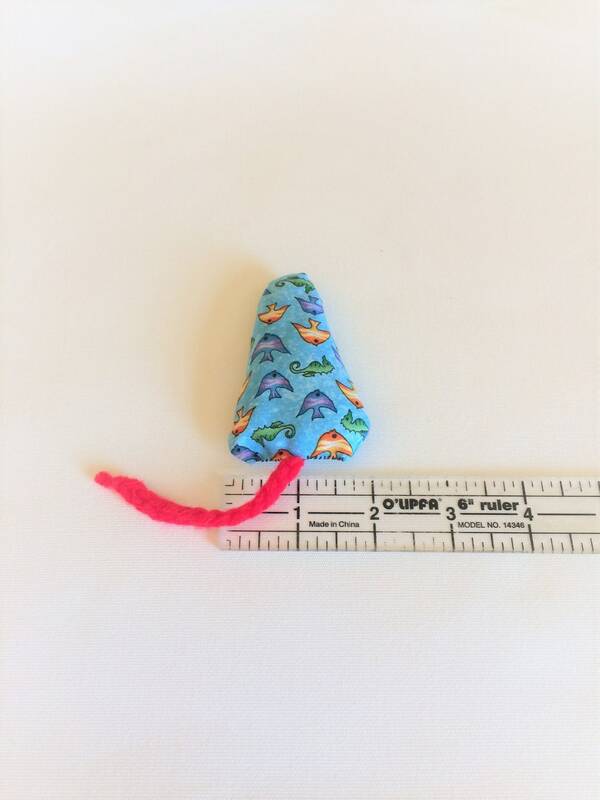 Beautifully crafted mouse cat toy filled with catnip! Love the pretty green with blue accents fabric and the red tail! Thank you for honoring my color request. Great product, excellent communication, and fast free shipping! PURRfect transaction! Thank you for such a sweet, quickly sent Christmas toy for a happy kitty:)!